These luxurious full-size silk wraps are feather-light and perfect for summer wear. Maple, bamboo, and lotus carried on a soft breeze from afar. Bold summer prints on a classic kerchief design. Oriental charm from the delicate lotus flower, for a distinctive and exotic beauty. 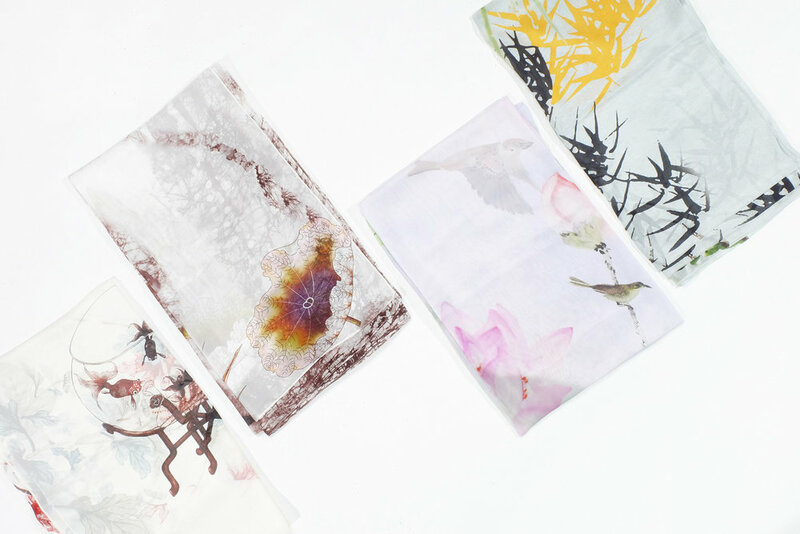 This series presents a collision of vibrant and subtle colors in fine silk print. Double-layered with a wonderful wood grain weave, these striking scarves offer ample food for the senses.